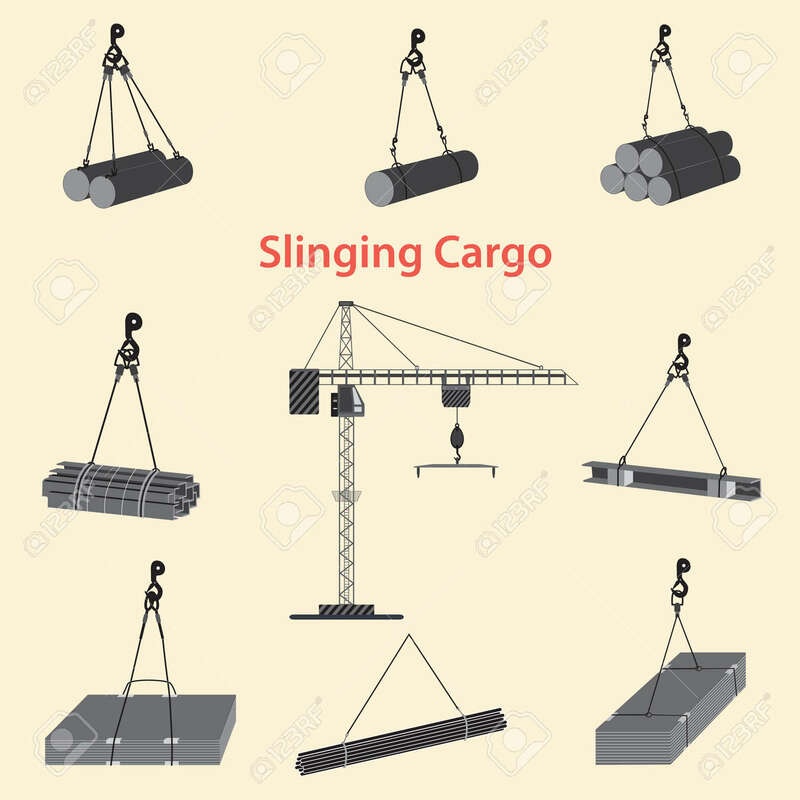 Construction Crane For Slinging And Lifting Cargo. Proper Use Of Slinging During The Operation Of A Tower Crane At The Construction Site. Lizenzfrei Nutzbare Vektorgrafiken, Clip Arts, Illustrationen. Image 108839686. Standard-Bild - Construction crane for slinging and lifting cargo. Proper use of slinging during the operation of a tower crane at the construction site. Construction crane for slinging and lifting cargo. Proper use of slinging during the operation of a tower crane at the construction site.